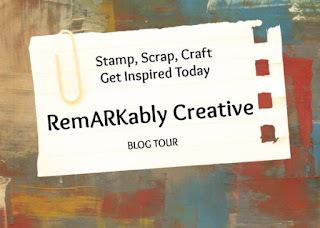 Welcome to the June RemARKabley Created Blog Tour- All That's New! So many new stamp sets, papers in new colors and designs, ribbons, embellishments and tools! 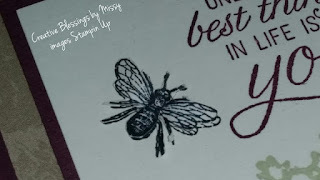 I've been sharing some cards I've been creating and some of the cards I received from a SWAP I participated in . 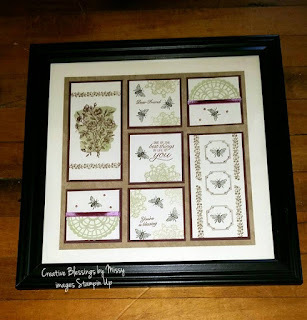 Today I thought I'd share a Sampler I created with the Very Vintage Host set and some of the embellishments. 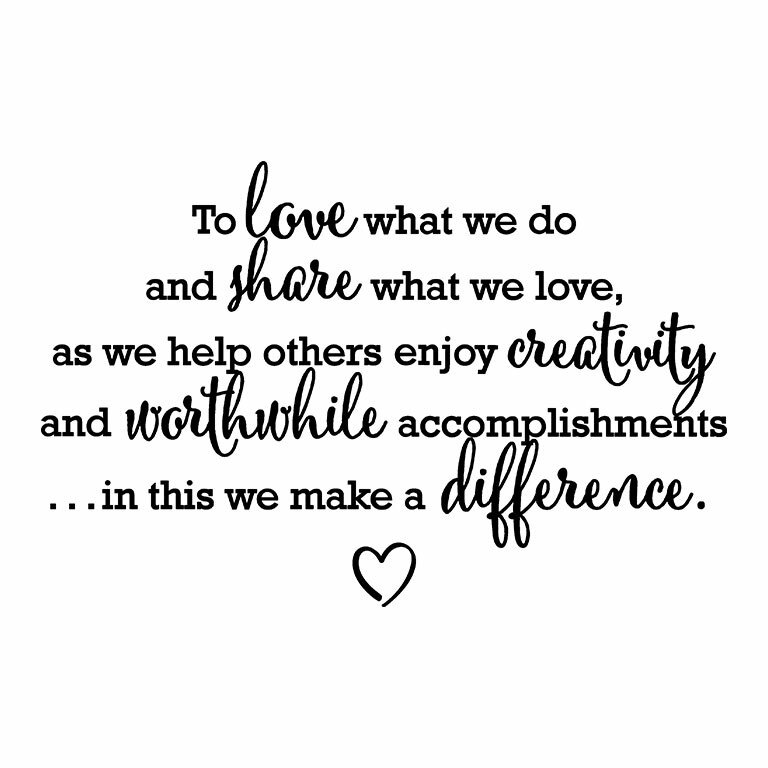 This beautiful framed art is 12 inch x 12 inch- background cardstock is Very Vanilla. Next Layer is 10 inch x 10 inch piece from the Nature's Poem Designer Series Paper. 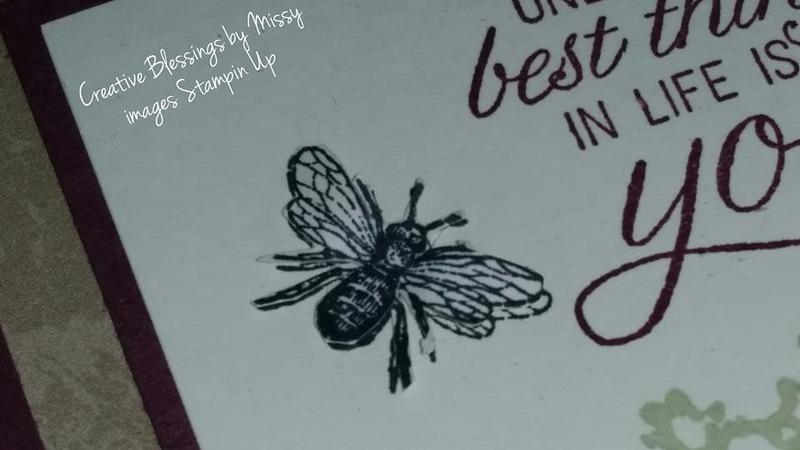 Each stamped piece is on Very Vanilla Cardstock(2 3/4 square or 2 3/4 inches x 6 inches) and layered on Rich Razzleberry Cardstock (3 inches square or 3 inches x 6 1/4 inches). 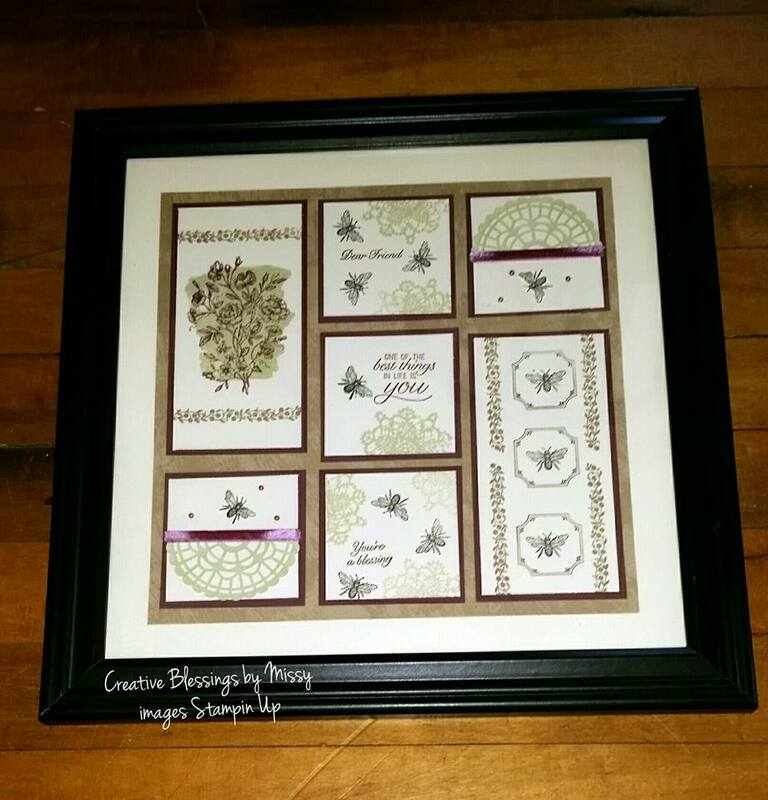 The bees on the bottom left, middle center and top right are fussy cut and added to a stamped image to give dimension. Ink Colors used are Basic Black, Rich Razzleberry, Pear Pizzazz & Crumb Cake. You are very welcome- so glad you like it! You can do it Elaine and once you start you won't stop!